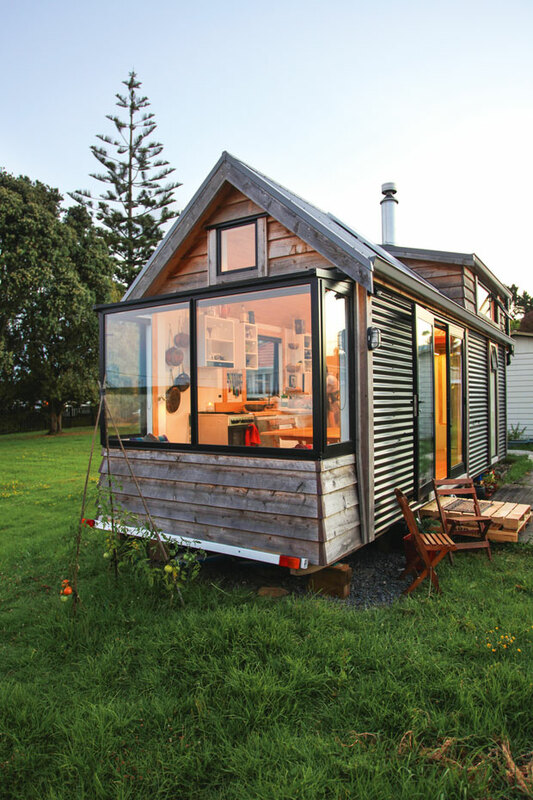 A tiny house on a parklike lawn where Auckland’s West Coast winds sway through the branches of a sentinel Norfolk pine is a rewind to the way New Zealanders used to live: more land, less capital-consuming built volume. Owners Amanda Morrissey-Brown (27) and Cam Watson (28) are proud pioneers of this turning-back-the-clock existence. Rich in contentment, untrammelled by a weighty mortgage, day-by-day they try to live more simply. 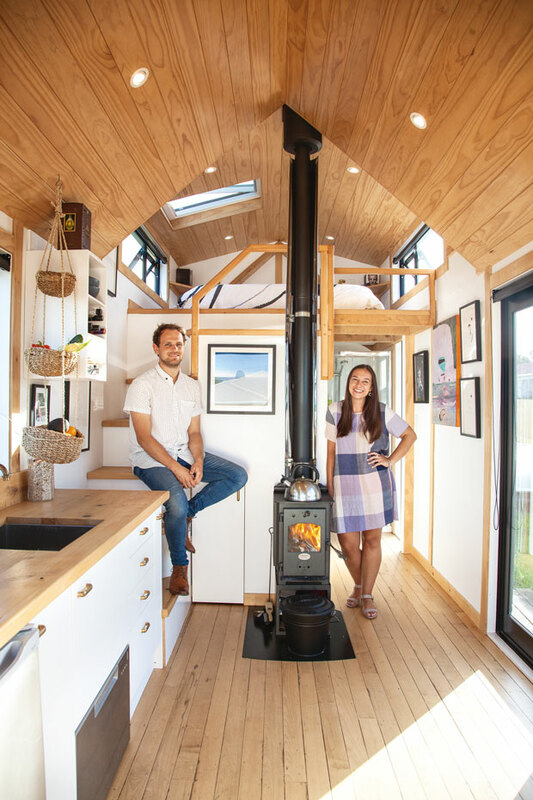 Amanda, a fine-art specialist, and Cam, an engineering geologist, have been enjoying tiny-house life since May 2018. They know the numbers by rote: 26sqm of floor area including the mezzanine (the house is 8m long, 2.6m wide and 4.2m high). Cost? Approximately $130,000. Their decision to abandon flatting was driven by heart and head. As the pair began exploring alternative-living choices, they happened upon the “love shack”, a concept developed by Whangarei builder Marcel Syron. Custom-built on a trailer to road-code specifications, the home with its loft-like bedroom, ingenious secret storage, and loads of light has everything they need — no more, no less. They fell head over heels. 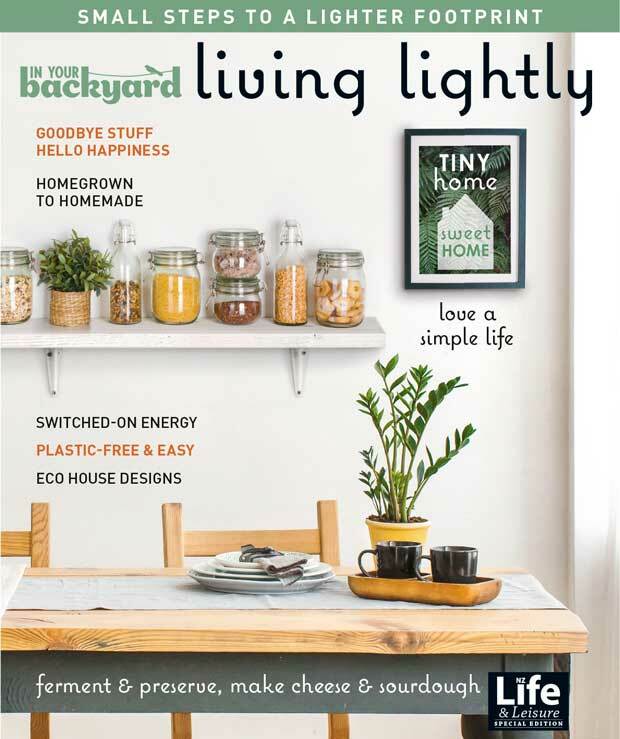 In Your Backyard: Living Lightly is filled with practical advice on making small steps to a lighter footprint.